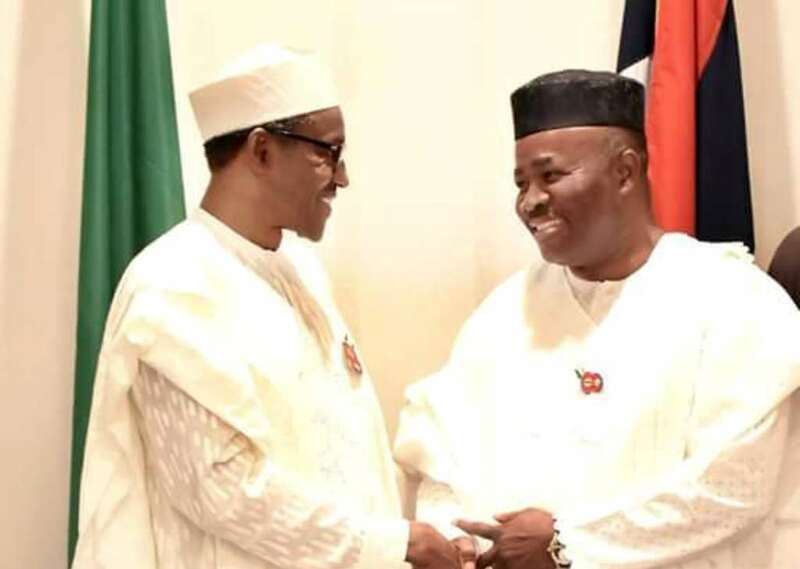 In effort to ensure victory in the coming presidential election, President Muhammadu Buhari has named former Senate Minority leader Godswill Akpabio as the National Coordinator of the Presidential Support Committee. The Akwa Ibom state Coordinator of the committee,Mfon Okon, Uyo said four indigenes of the state have also been appointment into the committee. The new appointees include Lady Valerie Ebe, a former deputy governor of the state as chairman, National Advisory Committee, Senator John Akpanudoedehe, national director – planning & strategy, Senator Aloysius Etok – national director for inter-party affairs, and the party’s South-South zonal woman leader, Mrs Rachael Akpabio as the National Assistant Welfare Secretary. Okon said appointments express the president’s confidence in them on their ability to successfully work for his re-election in the forthcoming presidential election. Akpabio, a former governor of Akwa Ibom, was a member of the People’s Democratic until August 8 when he joined the ruling All Progressives Congress.